Lowest Prices for the best weight distribution from Pro Series. 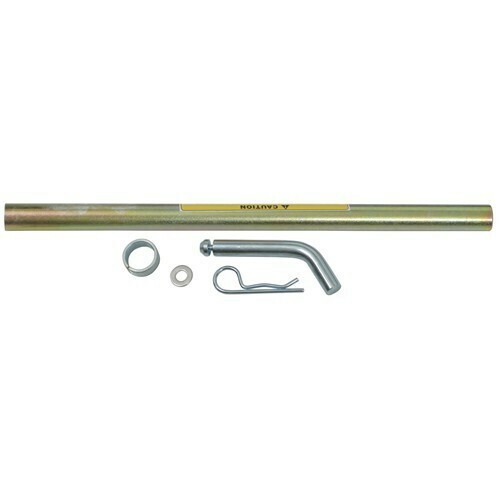 Pro Series RB2 Round Bar Weight Distribution Kit with Shank, 600 lbs TW / 10,000 lbs GTW part number 49568 can be ordered online at etrailer.com or call 800-298-8924 for expert service. Hi,Would you recommend the Pro Series Weight Distribution 49569 for a 2004 Surveyor Travel Trailer - 3680lb dry weight325lb dry tw, or should I go with something beefier? Being pulled with a 2008 Tundra DC 4x4 with factory tow set-up.There will be occassions where a quad will be hauled in the box of the truck. That will depend on what the loaded weight of the trailer comes out to, but I can explain how to figure out what weight range you should select. Look at tongue weight first. 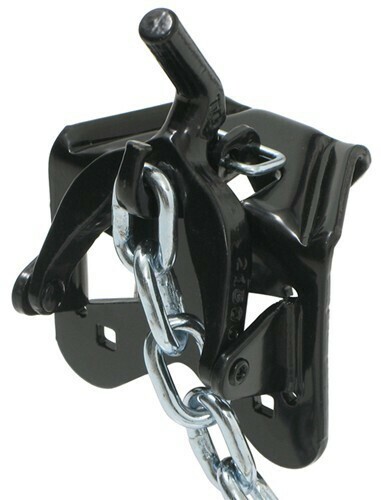 Add up the loaded tongue weight of the trailer AND the weight of anything in the bed of the truck behind the axle. That is your tongue weight total. Select a system has at least as much, if not more, tongue capacity than your total tongue weight. If the WD system lists a tongue weight range, you want your total tongue weight to fall in the middle of that range. Of course the gross towing capacity needs to cover your total trailer weight. With the loaded trailer and the quad, I imagine the 800 would be close and it may be better to look at a 1,000 pound tongue weight system. The correct 600 lb replacement spring bar for the Pro Series Weight Distribution Head, # 58333, is the Pro Series RB2 Round Bar, # 58336. This head and spring bar are compatible with the Pro Series RB2 Round Bar Weight Distribution Kit, # 49568. I attached installation instructions for this system for you to review. The 600 lb Replacement Round Spring Bar for Reese Weight Distribution Systems, is not compatible with the Pro Series RB2 weight distribution head.